The current issue of Mid-Atlantic Brewing News (June/July 2008) quotes me in an article about the future of brewpubs within city centers. Tom Cizauskas, sales rep for Baltimore's Clipper City Brewing Co. and a veteran brewer of several craft breweries, suggests that urban brewpubs "are victims of their own success." Many of the earlier brewpubs were looked on as urban pioneers [many examples, but to name two: Sisson's of Baltimore, Maryland; Wynkoop of Denver, Colorado: Goose Island, Chicago, Illinois], revitalizing rundown sections of the city, he reflects. But as the neighborhoods gentrified, property values —and rents— rose astronomically. In the DC area, Founders' Brewpub in Alexandria, Va. was forced out by rising rents, and Dr. Dremo's (the former Bardo Rodeo brewpub) has been shuttered to make way for mixed-use development. In Chicago, the original Goose Island brewpub on Clybourne Ave., has announced it will close by the end of 2008 because of a steep rent increase. For the situation to change, "developers have to understand that a brewpub is value-added for the community," says Cizauskas, and they have to be willing to give these business a break so that they can charge reasonable prices. "If you're asking for $8-9-10 for a hamburger, that's a disconnect," he adds. How about $15 for a burger? Your brothers and sisters in beer are keeping you and your brewery —now 120 years in the Matt family— in our thoughts and hopes. May you survive and thrive. 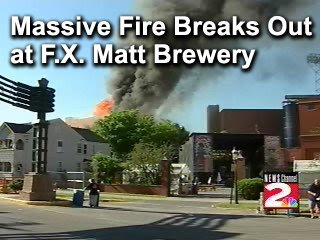 Recovering from what city officials believe to be the most expensive fire loss in Utica history won’t be easy for F.X. Matt Brewing Co. Yet nearly everywhere the brewery’s officials turned Friday, they found a community offering its support to a beloved local business. “It’s been really terrific, and I want to thank everybody for that,” a clearly moved brewery President Nicholas Matt said at a midday news conference outside the Brewery Shop. Matt pointed out that the 120-year-old West Utica’s company ability to brew beer was not in any way affected by Thursday night’s blaze, which may be tied to a welding project in a processing building. But the company’s canning operation is lost for an unknown period of time, and the status of the bottling operation remains uncertain, Matt said. That could mean filling cans with Saranac and Utica Club brews at other breweries until the processing building can be rebuilt. The brewery has been family owned for four generations since 1888. ● Saranac Thursday: The weekly festival, which draws thousands each week to the brewery and to nearby Varick Street bars, will continue as scheduled. “I hope I’ll see all of you here next Thursday,” Nicholas Matt said. ● Canning capability: Recovery will not be easy and outside help will be needed. It could be several weeks before full packaging capabilities are restored, he said. In the meantime, other breweries Matt did not name have called offering help. “It may be that, on an interim basis, that we are going to be tankering beer to another brewery, Matt said. A massive fire is still blazing at the F.X. Matt Brewery after forcing the cancellation of the first Saranac Thursday. The fire began in the canning/bottling area on the third floor. There are major cracks in the walls of the burning building visible. There are new reports that there is black smoke coming from the second floor on the Schuyler Street side. Flames are still visible on the third floor. It seems they are having difficulty battling these flames due to homes on the Court Street side. Update: Bottling plant may be a total loss. Alerted to this story by a Tweet from from Musings Over a Pint. I've been in the beer biz since 1991. I've been a vegetarian since 1991. It's a coincidence (even though beer is indeed a fine vegetarian food stuff). But since that date, there have been no beer dinners in which I've participated (either professionally or for fun) at which I could partake of most of the meal. Thursday 26 June, Great Sage Restaurant in Clarksville, Maryland is hosting a Vegetarian Dinner featuring the beers of the Clipper City Brewing Company.It's the Maryland kickoff for the brewery's new line of beers - Oxford Organic Ales. Special guest speaker will be Chris O’Brien, award-winning author of Fermenting Revolution: How to Drink Beer and Save the World. And I'll be giving a short presentation on what cask ale is, and then tapping the cask (Oxford Organics Amber Ale). the nation's best Vienna Lager, two years running. Roasted Shitakes, over Spinach with a Tomato Fennel Vinaigrette. Paired with fresh cask of Oxford Organics Amber Ale. Paired with Small Craft Warning Über Pils (bottle). Raspberry Sorbet with Oxford Organic Raspberry Wheat (draught). Paired with Loose Cannon Hop3 Ale (bottle). Paired with Peg Leg Imperial Stout (bottle). I'm particularly intrigued by the pairing of curry with Loose Cannon. Clipper City's Loose Cannon Hop3 Ale is a somewhat different interpretation of the India Pale Ale style (IPA) than that of some other American IPAs. Rather than solely emphasizing the structure of hops (that's the word winemakers use to indicate bitterness), the beer plays up the other nature of hops: its herbal character. Hops are herbs, after all. Thus pairing this herbal beer with the Thai-inspired yellow curry should be a delicious combination. The Washington Post recently published a review (favorable) of Great Sage. A local demonstration of beer-with-cheese. Hints of things to come at YFGF.com. A Memorial Day dinner: corn on the cob, roasted green beans, peaches for dessert, and Unibroue's Quelque Chose served with a splash of bitters over shaved ice. An unusual beer, Quelque Chose (French for "something else") is uncarbonated, 8% alcohol by volume, and aged over tart cherries. Beer's answer to Compari? Watership Down: an old friend for a lazy re-read on a warm, sunny day. It's Sunday of Memorial Day weekend. As I write this, I can hear, out my back window, the Harley-Davidsons of Rolling Thunder, motoring in cacophonous caravans east on I-66 (today, let's say Route 66) into Washington, D.C. It's an almost musical harbinger of summer. To educate the public that many American prisoners of war were left behind after all previous wars and to help correct the past and to protect future veterans from being left behind should they become prisoners of war-missing in action. Rolling Thunder is but one loud part of this three-day weekend —Memorial Day— which commemorates those U.S. military men and women who have died while defending our nation. For one year, beginning last Memorial Day and ending today, the brewery I work for —Clipper City Brewing Company— has donated a portion of the sale of every six-pack and four-pack to the Veterans Maryland Health Care System. A charity-supported adjunct to the Veterans Administration, the VA Maryland Health Care System —and others like it in other States— helps pay for ancillary programs not provided by the US government. Things such as child care while an injured veteran attends rehabilitation, or transportation to those services, or simple things like televisions and DVDs for wounded soldiers, and comfort, such as hospice. The VA Maryland Health Care System offers many supplemental services and activities to veterans throughout Maryland thanks to generous contributions and donations from caring community members, veterans service organizations, and local businesses. We are grateful to be the recipient of monetary and in-kind donations and bequests from individuals throughout Maryland who are interested in supporting the needs of our hospitalized veterans. The give-back program may have ceased at the brewery, but not with this employee. I continue, not because of personal rectitude, but because I think it the right thing to do. A close relative of one of my fellow employees lies terribly injured in a veterans hospital in North Carolina. While I and many Americans enjoy this three-day weekend with our mall shopping, mini-vacations, and backyard barbecues (with, I hope, local beer), American troops are still ordered into the middle of a civil war in Iraq. Support and honor them: they fight for us, despite the fecklessness of our leaders. Support and honor them: bring them home to safety. Support and honor them: give them the benefits that their sacrifice and courage deserve, which some in government wish to deny them. A lot of fuss is made about the handling of cask ale. People talk about beer being "well kept" in reverential tones, as if the publican were entrusted with a task of baffling complexity. In reality, if the beer arrives in good nick, only three things matter: the temperature of your cellar, how quickly you sell ale and your willingness to follow basic instructions. I would add "keep the pipes clean." Dirty lines and dirty storage yield dirty beer. And, of the "willingness to follow basic instructions": that can often seem the most difficult task for which a brewery asks. Yesterday, I spiled two casks for tonight's organic beer dinner at Magnolias Mill in Purcellville, Virginia. I did attempt to follow my own instructions! How to serve cask ale: a photo primer. Oskar Blues will provide about 100 barrels of wash (3100 gallons) each week [to] Stranahan's [Colorado Whiskey], which has been in business since 2003, [which] will distill that liquid down to about 300 gallons of spirit that will then be aged. Stranahan's has been steadily increasing distribution and is now available in about 20 states. Part of the benefit for Oskar Blues, besides a steady income for contract brewing the wash, is that the brewery will have access to used Stranahan's barrels that it will use for specialty beer production. Bourbon drinkers will find that oak they like at the beginning; Scotch drinkers will like the finish and Canadian whiskey drinkers will get some spice in the middle. More, including the distribution area, at The Scotch Blog. It was SAVOR, a national food-and-beer exposition, Friday and Saturday at the beautiful neo-classical Mellon Auditorium in Washington, DC. The event was sold out for all three sessions. The sponsoring group was the Brewers Association, the national advocacy group for small breweries. Well done! In the photo, it's Clipper City Brewing's Loose Cannon Hop3 Ale (an IPA or India Pale Ale), hoppy and herbal, paired with washed rind cheeses (to the rear, Italian Tallegio, and, in front, Grayson from Meadow Creek of Virginia), citrus-infused chocolates (from artisan chocolatier Christopher Elbow) and beef-stuffed empanadas with mango salsa. 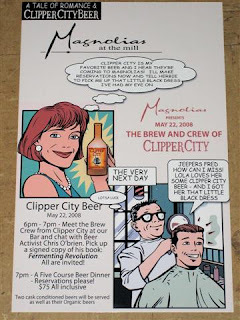 Clipper City was the only brewery to pair one beer three ways. With the empanadas, the spicy and fruity character of the mango salsa paired with that same character of the melange of American hops in Loose Cannon. The cheeses? What a delight! I had recommended Grayson to the Brewers Association and was pleased to see it included. Local food, local beer, after all. Pungent IPAs mate almost perfectly with the aromatic (okay, stinky) character of washed-rind cheeses. And then to mate the beer with chocolate after the first two choices was a delight. Citrus-infused with the citrusy tasting Pacific Northwest hops. Again, a flavor hook. I stayed behind the table talking the tasters through the pairings throughout most of the evening. This is something I delight in; and the pairings, while delicious, were quite illustrative of the theme of the event: beer with food. I worked the Friday session only, with owner Hugh Sisson and other members of Clipper City's staff covering the Saturday sessions. Video used to promote the following year's event (2009). Blogger William Brand of ContraCoastTimes.com has an excellent series of postings. Before SAVOR on Friday, I sat down with Ken Hadley of Otter Creek Brewing and had a state-of-the-biz discussion. The craft beer industry was born in the early 1980s, burgeoned in the early 90s, crashed in the late 90s, and seems --seems-- to have become firmly (permanently?) entrenched in the 20-aughts. Back in the, now, early days, each new face, each new brewery, each new brewpub was a special, unique thing. We who experienced those births had grown up without good beer. In our small ambit, good beer was something to be protected and adulated. Nearly 30 years later, a new generation is drinking the results, a generation that was not even alive back then. For it, there is no longer a sense of wonder at new beer and breweries. That's not because of callousness, but because craft beer is now a given, an expected thing. The craft beer industry has become a victim of its own success. To an an order of magnitude, there's much more good beer sold now than ever was then. Quotidian success has replaced exalted exclusivity. Recently renamed in honor of Michael Jackson, the Brewers Association Beer Journalism Awards "recognize outstanding media coverage that increases beer drinkers' understanding of the diversity and flavor of American craft beer." There are three awards: one for consumer print media, one for consumer electronic media, and one for trade and specialized beer and brewing media. The presentations will be held at the Great American Beer Festival in Denver in October. Nominate your favorite beer writer for any article written or broadcast between 1 July, 2007 and 30 June, 2008. Nominations (and applications) will be accepted by the Brewers Association from 1 June 2008 through 30 July 2008 at: http://www.beertown.org/bja/. It's Mild in May in the UK. That is, Mild Ale. But exactly what is Mild Ale -- and what is "traditional" mild ale-- may depend upon which year one chooses for the basis of the "tradition". CAMRA, the Campaign for Real Ale, and a number of pubs and breweries, will be celebrating the beer style Mild in May with a variety of different events to raise the awareness of this endangered beer style. Mild is one of the most traditional beer styles, and whilst it is enjoying a small revival in today's real ale market, it still only accounts for an estimated 3-5% of all real ale sales. Mild has perhaps been overshadowed in recent years by more fashionable beers such as golden ales and premium bitters. Mild beers tend not to be very strong and have an ABV in the 3% to 3.5 % range. They are usually dark in colour, due to the use of well-roasted malts or barley, and are often less hopped than bitters, having a chocolatey character with nutty burnt flavours. Appearance: Copper to dark brown or mahogany color. A few paler examples (medium amber to light brown) exist. Generally clear, although is traditionally unfiltered. Low to moderate off-white to tan head. Retention may be poor due to low carbonation, adjunct use and low gravity. Flavor: Generally a malty beer, although may have a very wide range of malt- and yeast-based flavors (e.g., malty, sweet, caramel, toffee, toast, nutty, chocolate, coffee, roast, vinous, fruit, licorice, molasses, plum, raisin). Can finish sweet or dry. Versions with darker malts may have a dry, roasted finish. Low to moderate bitterness, enough to provide some balance but not enough to overpower the malt. Fruity esters moderate to none. Diacetyl and hop flavor low to none. 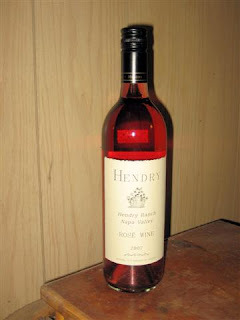 Mouthfeel: Light to medium body. Generally low to medium-low carbonation. Roast-based versions may have a light astringency. Sweeter versions may seem to have a rather full mouthfeel for the gravity. Comments: Most are low-gravity session beers in the range 3.1-3.8%, although some versions may be made in the stronger (4%+) range for export, festivals, seasonal and/or special occasions. Generally served on cask; session-strength bottled versions don’t often travel well. Both Beer and Ale were brewed to a variety of strengths from a variety of base malts. So you had Pale Ale, Amber Ale and Brown Ale; Pale Beer, Amber Beer and Brown Beer. These could be made to many strengths, Common being standard strength, Stout the strongest. Only Beer was usually made at the weakest strengths: Table Beer or Small Beer. A further method of classifying malt liquors was their age. Ones sold young were described as Mild. Ones that had been aged were called Keeping or Stale. Most (but not all Ales) were sold "mild", but some beers were, too. Porter is a good example of a Brown Beer that was often sold "mild" from the 1700's right up until its demise in the 1940's. The big London brewers all made Mild Porter and Keeping Porter, which were often mixed before sale. You can see that in the 1700's Mild Ale was a very vague term. It covered Ales of all colours and all strengths. It wasn't as much as style as a description of the level of conditioning. [emphasis mine] None of the beers described as Mild Ale at this time has any but the slightest similarity with modern Mild. Even the weakest would have had an OG of at least 1050º. Mild Brown Ale, brewed from 100% brown malt must have had the roasty flavour of London Porter, just with a much lower level of hopping. Ron has interesting things to say about stouts as well, backed up by his research. It's good reading. With all the bigger, hoppier beers here in the US these days, it's difficult to find a well-made Mild, of whatever year's tradition. The BJCP's comment on the modern version— "generally served on cask; session-strength bottled versions don’t often travel well." — is well taken. Witness mild's victory at the 2007 Great British Beer Festival over many stronger beers. a photo primer with commentary. Birth of a cask at brewery: here. The 2008 Sierra Nevada Southern Hemisphere Fresh Hop Ale is a "wet-hopped" ale. An American craft beer neologism, the term refers to a beer made with hops that are used in the brew kettle on the same day -- or close enough -- that they have been harvested. Commercial hops normally undergo a curing period, but not so-called wet hops. Beers made with them are intensely grassy and herbal, tasting as if biting into a fresh sprig of mint covered by a bale of newly mowed grass. 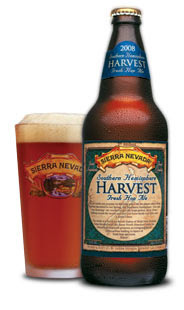 Sierra Nevada can claim most of the credit for creating the first commercial fresh harvest beers. Beginning in 1996, the brewery arranged for shipment of hops from Pacific Northwest fields on the day they were harvested. The harvest is in Autumn. The 'wet-hopped' beers are released soon after. But this year, Sierra Nevada has traveled to the seasonal and geographic antipode, New Zealand, for the uncured 'wet' hops for its 2008 Southern Hemisphere Fresh Hop Ale. And the brewery flew them in. this is the first time any American brewer has done such. Hops from New Zealand have historically been pesticide-free, as has been most of its produce. Over a decade ago, I was using NZ Hallertau and Pacific Gem as aroma and character hops in beers at two different breweries. Lacking the typical catty, grapefruit aromas of US varietals, these hops may not appeal to many American craft beer lovers, but I was then (and am still) a fan of their distinctive piney/berry/citrus/medicinal herbal character. So how is 2008 Sierra Nevada Southern Hemisphere Fresh Hop Ale? Delicious! A firm sweet malt character in balance with the basil/minty dark berry citrus character of the hops. 2008 Sierra Nevada Southern Hemisphere Fresh Hop Ale is allocated, in short supply. But, several stores in the DC-Baltimore-Richmond area do have this wonderful beer to sell ... at least at present. So don't wait too long. I was alerted to the coming of this delicious thing by Nick Anderson, the "beermonger" at beer/wine store Rick's in Alexandria, Virginia. Nick has recently begun writing both a blog at beermonger.net, and a weekly on-line column at www.LocalKicks.com. The latter's inaugural piece featured a nice write-up on Clipper City Brewing, for which I'm a Territory Manager. Thank you, Nick. It's American Craft Beer Week, and the flu knocked me from my first event on Monday: the Spring Beer Tasting at the Hard Rock Café in Bethesda, Maryland. As part of our celebrations, Clipper City Brewing will also be at SAVOR -- the first ever national exposition of beer and food -- both Friday and Saturday, and then at the Virginia Beer Festival in Norfolk on Saturday. Hugh Sisson, the owner of the brewery, will be conducting a demonstration of mid-Atlantic/Chesapeake fare for the Saturday afternoon session, with the executive chef of Phillips Seafood Restaurant. This was originally intended to feature recipes for duck, rockfish, crabs, and oysters. But, as the Mellon Auditorium --the venue for this expo on beer and food-- does not allow cooking on premises, the choices and demonstration have been limited. No cooking for a food exposition? Go figure! 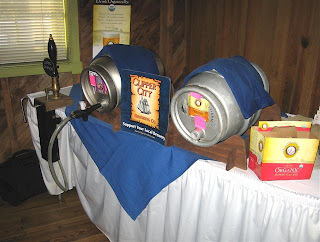 Thursday 22 May is the Virginia kickoff beer dinner for Clipper City Brewing Company's new organic line of beers -- Oxford Organics -- at Magnolias at the Mill, a beer-centric restaurant in a restored mill in Purcellville, VA. Weather permitting, the dinner will be the first ever held on the newly expanded patio of the restaurant, and will feature two fresh casks, including the new Oxford Organic Amber Ale. 6pm-7pm: A reception open to everyone (no dinner reservation required). Chris O'Brien, author of Fermenting Revolution: How to Drink Beer and Save the World, will be there to sign copies of his book, and brewers of Clipper City Brewing Company will be there to talk about the beers and the brewery. No charge except for the beers you drink. 7pm-9:30 pm: a Five-course beer dinner, pairing Chef Mark Marrocco's creations with five beers from Clipper City. The cost is $75 including tax and gratuity. Call 540.338.9800 to make reservations. Local Organic Asparagus Salad, mixed field greens, candied pecans, warmed goat cheese, and tarragon-mustard dressing. Paired with cask of Oxford Organic Amber Ale, served by gravity pour. Belgian-style steamed mussels, saffron-fennel sauce, chorizo sausage with Belgian-style frites and dipping sauces. Paired with draft Red Sky at Night Saison. Skewers of grilled spiced shrimp, scallops, & pineapple, served with pineapple-ginger couscous and red curry sauce. Paired with cask of loose Cannon Hop3 Ale, served by handpump. Hickory-smoked pork spare ribs, served with Hooks Blue Cheese & Red Bliss potato salad. Paired with draft Peg Leg Imperial Stout. Bananas Foster with house-made vanilla-bean vanilla ice cream. Paired with Hang Ten Dopple Weizen Bock (2007 vintage). at Clipper City Brewing Company. The Washington Post has an article today (6 May 2008) on organic beers, written by Beer columnist Greg Kitsock. According to the Organic Trade Association, 2006 sales of organic beers (1% of the craft beer segment) were $25 million, up 32% over 2005. Organic malt, according to Hugh Sisson of Clipper City Brewing (Baltimore, Maryland), costs double that of 'regular' malt. Until recently, most organic hops came from New Zealand. That is changing. According to the USDA, 95% of the dry weight of an organic beer, excluding the hops, must be certified organic. The rest of the piece: There's a Tinge of Green in the Glass. Beer and chocolate? You bet! Actually, nearly 50 pastry chefs and chefs from the D.C. created special pastries, chocolates, and non-sweet desserts, last evening, at the annual gala fundraiser and silent auction —Sweet Charity— to benefit the Heart of American Foundation and its literacy programs. Clipper City brought four of its beers. Our friends from Capitol City Brewing Company were there as well, with a tasty Belgian-style Pale. During the evening, I met up with "chocolate artist" Eric Johnson of Krishon Chocolates. He and I had collaborated last year on a beer and chocolate tasting. The gala included a fashion show in which models wore outfits of chocolate and pastry. Eric worked with wives of several Washington Wizards players (DC's pro basketball team), applying chocolate as their costumes. Hearing that their husbands had stood close by, observing, I asked Eric how he had proceeded. The theme of the show was 'fairy tales'. Here's a model 'dressed' as Ariel the Little Mermaid. Her costume is all pastry and sugar, as created by Something Extra Cakery. When you submit a comment here on the blog, it usually will be posted. But in April, any private messages sent to me via the Feedback/Guestbook Form may have been lost. There apparently had been problems with the feedback hosting page. I apologize if I failed to respond to any emails. The problem has been, I hope, corrected. Try again! I read with interest your blog and the discussion about too many categories and too many awards at the World Beer Cup. Now that I have experience judging GABF for six years (since leaving the AOB/BA) plus this year’s World Beer Cup, I have a better understanding of how that all happens. You might consider volunteering to judge yourself – you would just need to send a CV and get two other judges to recommend you. Chris Swersey is always open and in need of good judges, especially those in the industry like yourself who have experience brewing for a living. Anyway, if you have the time, it is always worthwhile and educational, I find. As far as changing the entire way of awarding medals over to a points/numbering system, from my perspective the only way that could happen would be if there was believed to be sufficient reason to have a sea-change in the philosophy of the awards and the judging. This would require buy-in not only from the organizers, but also the Board of Directors of the BA (some of whom participate as judges), and the judges themselves, as well as BA Brewery Members. Could you really successfully argue that the entire system is broke, and thus needs fixing? In other words, the horse left the barn – or the train left the station – two decades ago and despite having a few imperfections, of course, both GABF and WBC are each in themselves now “institutions” of sorts – and brewers wouldn’t still be sending beers in to compete in ever growing numbers (despite the high cost, which can be an obstacle) if they didn’t believe in the validity of the judging as a whole and the value of the medals. In other words, overall, both competitions contribute in a very positive way to the industry. Even though some brewers may not have the promotional budget, or the marketing smarts to best capitalize on a brand new bronze, silver or gold, you can’t deny there is a huge injection of energy into the market each time the awards are announced, after 250 or so beers all of a sudden have won national recognition, or international acclaim with the World Beer Cup. You have to admit, even though few individuals, many judges included, could readily define for you what makes a perfect “International Pale Ale”, the bottom line is, Clipper City’s Winter Storm just won a gold medal, which means easily hundreds, if not thousands of people, are all of sudden hearing more about this beer, and may have greater incentive to buy one, than they did a month ago. Some of the lesser-understood categories do get dropped after a few years if there is sufficient lack of interest or merit in the category. Then again, if 20 breweries are producing a new style of beer that seems to be growing in popularity, or consumer interest, why not have a category for that type of beer? The easier way to set up a competition with a numbering/point system would be to establish a new competition entirely. (That’s “easier” but of course in no way “easy”.) I’m not saying you can’t change GABF or WBC but if you really want to, you would need to undertake a huge grassroots campaign, at the least, I think, to push through that kind of sea change). In Balmer, you might call that a Heavy Seas change (sorry, couldn’t resist…). The beer magazines and brewspapers, more and more, it seems, do a great job of publishing intelligent/educated and largely unbiased ratings and reviews. While those, too, may have their imperfections, I think the more that the beer press/media can work with brewers (and vice versa) to better publicize the fact that “Beer X” garnered a top-notch review in their latest issue – and can successfully communicate this to consumers at the retail level – the better the industry can help educate beer fans about what are some of the truly best-tasting and best-drinking beers out there. Lest I'm accused of merely 're-blogging', I'll mention that yesterday afternoon, over a beer and a veggie 'Philly' Cheesesteak, I asked a respected reporter of the beer scene his opinion of the just announced merger/acquisition of Pyramid Brewing with/by Magic Hat Brewing Company. He was puzzled by the cross-continental fit: both breweries produce an esoteric style, an Apricot wheat beer. He theorized that Magic Hat may have been looking to tap into Pyramid's national distribution network. As to duplication of brewing facilities, he felt that, at least initially, both breweries would remain open, but that —sooner rather than later— one would be closed down in the interest of cost efficiency (my translation: jobs lost). It's interesting to note that Magic Hat had been one of last year's suitors for Old Dominion Brewing Company of Virginia, but eventually lost out out to the Fordham Brewing /Anheuser-Busch partnership. As always, Lew Bryson has posted a concise analysis at his blog.